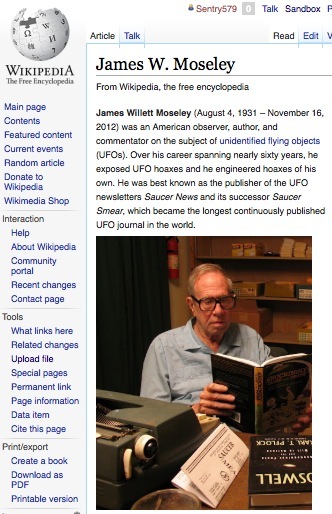 Greg Neilson has been working hard updating the Jim Moseley Wikipedia page, receiving input from Robert Sheaffer and Curt Collins. Greg has put in a lot of work on this, and he’s done a great job of adding vital material and properly sourcing it all. Greg’s just posted the revised page- Bravo!